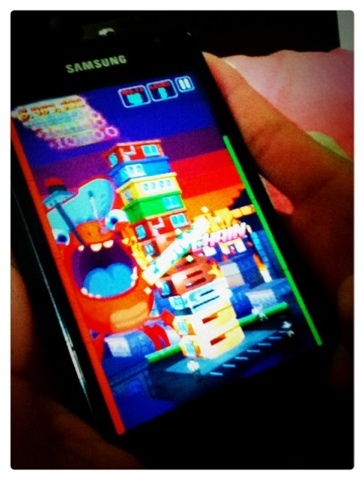 Le bf playing this game called "Monsters Ate My Condo" while I'm lying beside him feeling nauseous. Game costs $0.99 and it's kinda cute and funny with those monsters telling you to make high score in Hong Kong slang English. Lol.